Appreciation: 8.5/10. 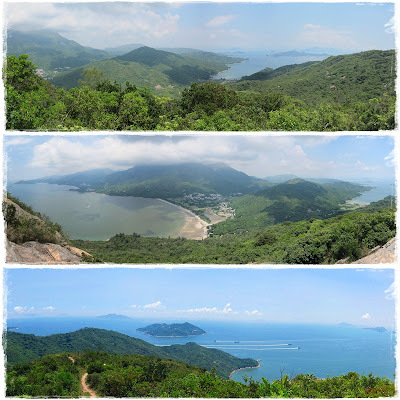 Although not as scenic as MacLehose section 2 and 3, Chi Ma Wan has some gorgeous sights. And it starts and ends at a beach so that's quite nice in itself. 7/10, 8/10 if really hot as the first few kilometers are in plain sun and climbing. Cel phone coverage: Coverage everywhere. Transportation: Central Pier 6 to Mui Wo. 35 to 50 minutes depending on whether you take the fast or slow ferry. Then take NLB 1 and stop in Pui-O (about 10 minutes). Return the same way. Exit the bus in Pui-O. That's the first village after the drive in the hills. At the 'Welcome to Pui O' statue, take the Chi Ma Wan road. Follow the Chi Ma Wan road. You will be walking on Chi Ma Wan road for 25-30 minutes. Eventually, on your right, you will see the start of the Chi Ma Wan country trail for you to take. Take the stairs next to the map. Don't take the left nor right path. 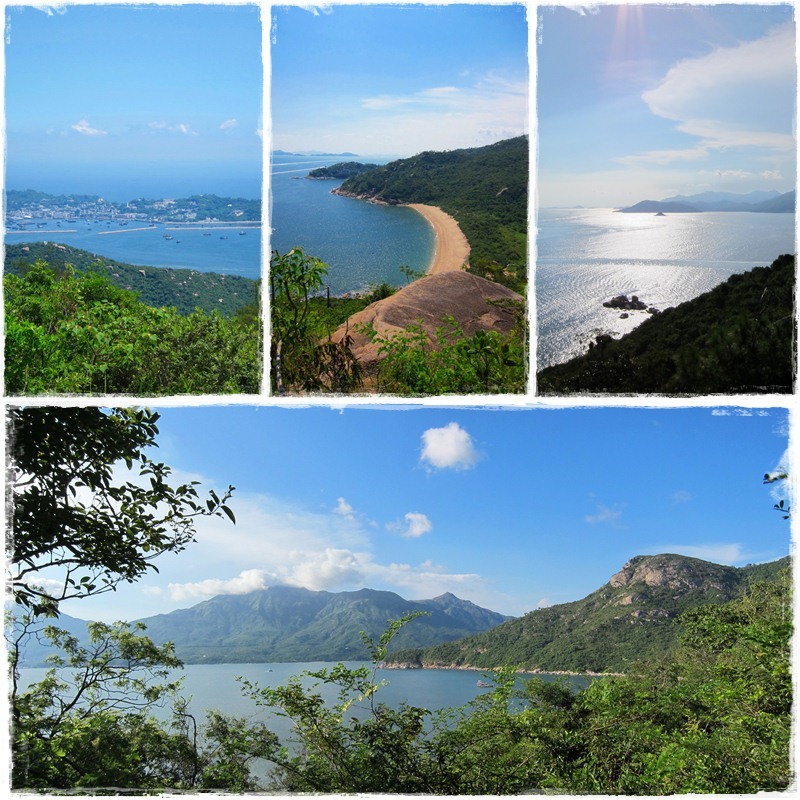 About an hour and 3.5km in, you will have reached the Miu Tsai Tun peak. Soak-in the amazing views. The path path will go down a bit then back up to the Lo Yan Shan peak. After Lo Yan Shan, it's mostly shaded and a relatively easy hike. About 45 minutes after Miu Tsai Tun, you get to this intersection, head left. There's proper signage. About 30 minutes later, you'll have reached the Shap Long Irrigation reservoir. At the intersection, head right and cross on the dam. Suggestion if it is really hot: take you t-shirt off, dip it in water, squeeze and put back on. Very refreshing. 1:45 minutes later, you'll reach that crossroads. Head left. Just in case you get confused here. Head straight. Stay on Chi Ma Wan country trail. That is 5 hours from the bus stop. About 16 km into the hike. This is also where you leave the Chi Ma Wan trail which goes and loops back to where you entered it, and instead head left for a nicer walk to the Mong Tung beach and leisurely walk back to Pui-O.